Sandals Resorts International has concluded a transformation of its flagship resort and the completely redesigned Sandals Montego Bay. Guests can lounge on a hammock suspended above turquoise waters by day and enjoy sunset cocktails gathered around the intimate fire pits by night. Sandals Royal Barbados, the newest resort in Sandals Resort’s all-inclusive portfolio, has opened the brand’s first-ever doughnut shop. Music and hospitality pioneer Chris Blackwell has been honoured at a star-studded gala ceremony in Montego Bay, Jamaica. 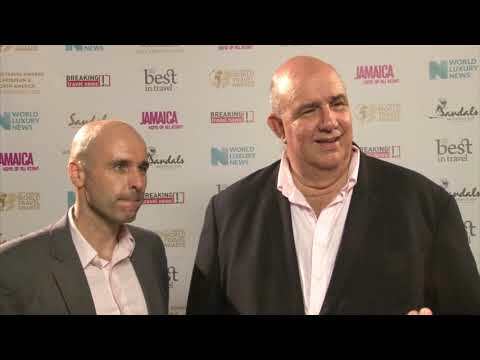 The founder of Island Records and Island Outpost was acknowledged with the Lifetime Achievement Award at the World Travel Awards Caribbean & North America Gala Ceremony 2019. This unique and picturesque venue features stunning 360-degree, panoramic water views and a glass floor aisle, so guests can truly walk on water on their special day. 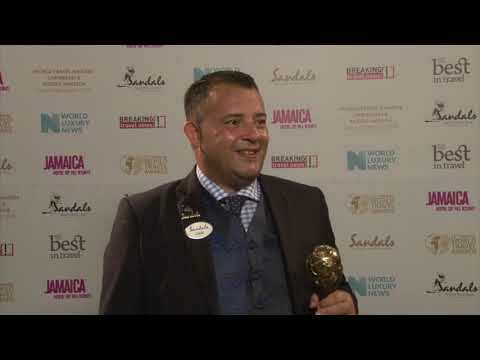 Adam Stewart, deputy chairman of Sandals Resorts International, tells Breaking Travel News how it feels to have successfully defend the title of Caribbean’s Leading Hotel Brand at the World Travel Awards Caribbean & North America Gala Ceremony 2018. He also tells us Sandals plays a vital role in the marketing of Jamaica as a tourism destination to international markets.